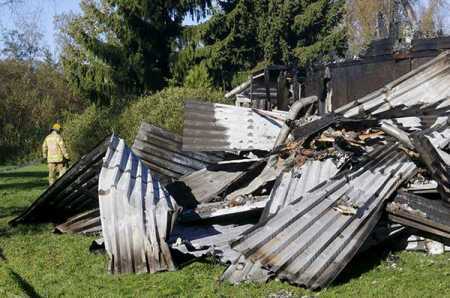 Two children were burnt to death in a fire broke out at a house in Raahe on Monday night. File Photo – Lehtikuva. Police suspect the father of two children, who were burnt to death in fire at Pattijoki in Raahe of manslaughter. The father was at the time of the incident very drunk, said the police. The police have initiated preliminary investigation into the case. According to the police, the father has been interrogated and detained as a suspect. A four-house terraced building was destroyed by fire on Monday night at Pattijoki in Raahe. Two children aged 6 and 10 perished in the fire. In the same house, the father and one child were rescued. The police said that the rescued boy is doing well under the circumstances and the child has been interrogated. The fire is assessed to have started in the kitchen. Other residents at the terraced house managed to escape.